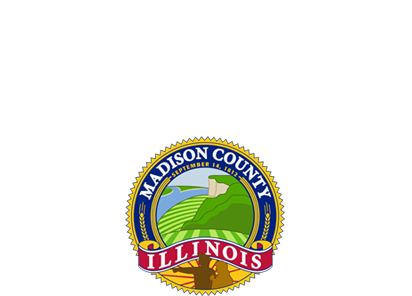 EDWARDSVILLE — Madison County awarded more than $149,000 in grants to municipalities and township for environmental initiatives. The Environmental Grants are provided to support conservational and sustainability projects undertaken by local jurisdictions throughout the county. The funding is administered through the Resource Management Program within Madison County Planning and Development. The purpose of the program is to provide financial support for a broad range of efforts that are aligned with environmental goals and recommended best management practices of the county. Since the county established the program in 2001, there have been 140 projects paid for with money received through the county’s landfill, or “tipping”,” fees. This year, the majority of projects funded center on stormwater control, water quality, and energy conservation. County Board member Clint Jones, Maryville, who serves as chair of the Grants Committee, said the grants are a good way to use the tipping fees and the grants are tailored to the varied needs of each community. “These grants go a long way in assisting communities who may not otherwise have the funding for these types of projects,” Jones said. Planning and Development Administrator Matt Brandmeyer said the impacts of the grants received by each jurisdiction are both valuable and long lasting as evidenced by communities that continue to benefit after receiving the funding. He said the $13,300 grant Highland’s Department of Parks and Recreation received in 2017 was put toward erosion control and bank stabilization along 1,500 lineal feet of eroded shoreline at Silver Lake. The funding additionally allowed for the clearing of invasive species from a 5-acre swath surrounding the project area. The Village of St. Jacob, received a $15,000 grant to implement lighting and energy upgrades at the village’s Activity Center. The Center serves as the central community and organization meeting location in the Village. The upgrades, including high efficiency LED lighting fixtures, aid in cutting costs in electric bills, thereby saving the village money. Brandmeyer said all grant recipients are expected to undergo site visits upon project completion as well as submit a final report with their funding reimbursement request.